Where Has the Dodo Gone? Where has Dodo Gone? 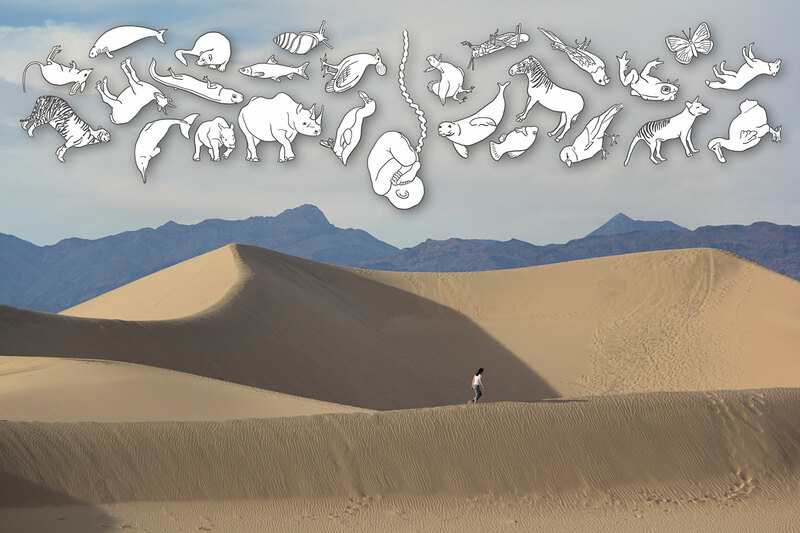 from The Desert Walk Series addresses climate change by depicting our survival in the barren sand dunes with drawings of extinct, endangered animals and human fetus over the photograph taken in Mesquite Flat Sand Dunes, California. This picture asks a question. Are we on the verge of human extinction brought by the self-destructive activities or can we turn it around?